A private tour with a personal, friendly guide. If required, the tour can be customized for any kind of group! 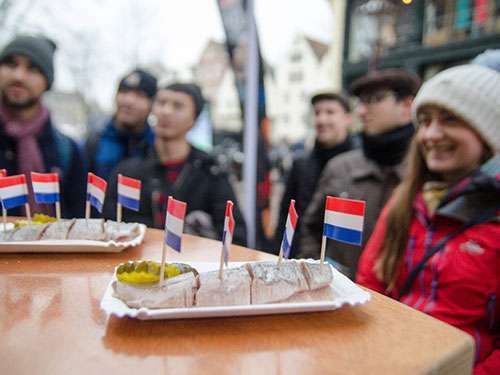 Taste the Dutch culture, with cheese, herring, stroopwafel and so much more! 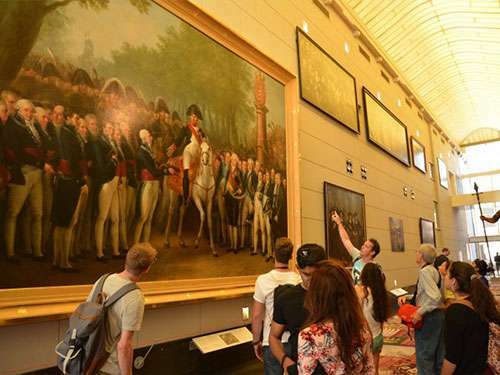 The Educational Tour is guided by history teachers, who know to make it interesting for the younger participants! 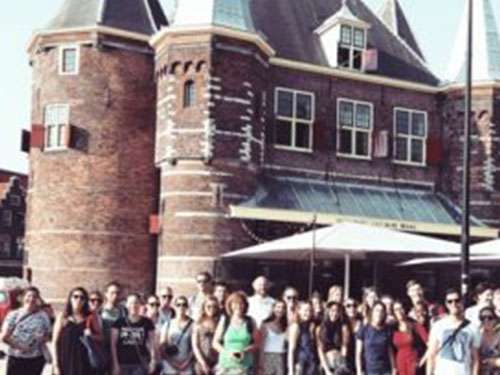 The Alternative Tour Amsterdam takes you into the heart and soul of the city. Discover Amsterdam's counterculture through its squatting and street art scene! If you don't want to book a private tour for a group, consider our Free Walking Tours! Accessible for everyone and available in different cities as Amsterdam, Utrecht, Rotterdam and The Hague. 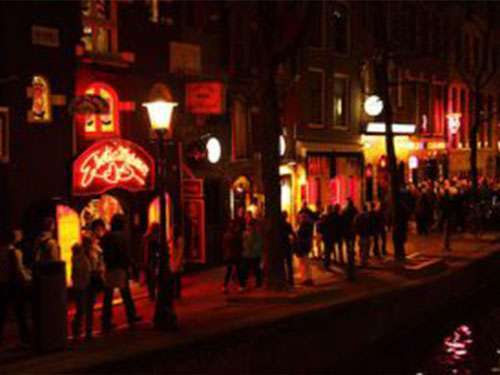 The famous Red Light District has many stories to tell. Discover the secrets behind the windows on our Red Light District Tour! Take a tour of this amazing port city! 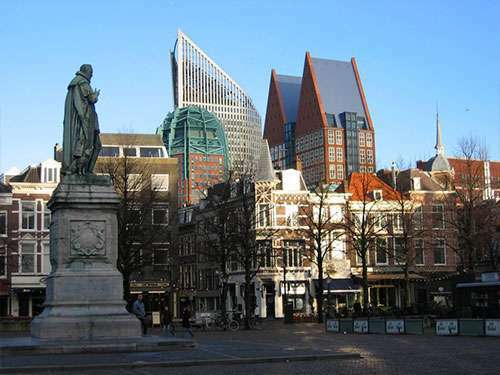 With its modern architecture and its straightforward but kind people, there is no other Dutch city like Rotterdam. We can find the small, beautiful Utrecht.only 30 minutes away from Amsterdam. 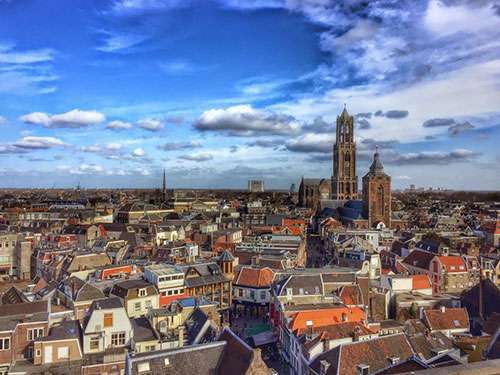 Discover the history of Utrecht's medieval town with a local guide! The presence of the parliament and the international court makes The Hague truly special. It is both international and cosmopolitan as small and friendly. 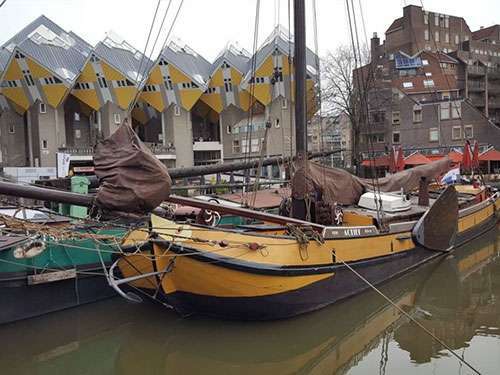 Take a tour of this beautiful city at the sea and learn new things about the History of Holland! 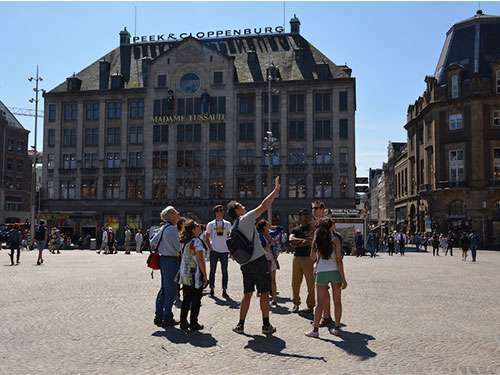 Guided Tours Amsterdam offers a variety of walking tours for everyone. 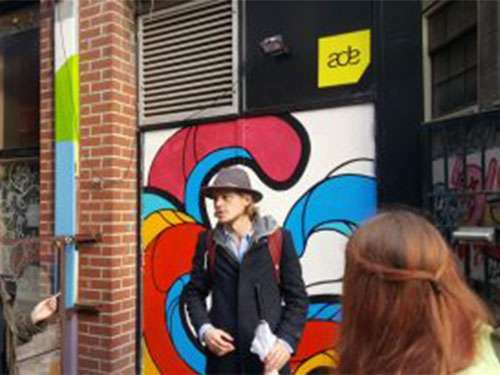 Whether you want to learn something about Amsterdam’s history or the Red Light District, taste Dutch food or want to know everything about Amsterdam’s alternative scene, Guided Tours Amsterdam will show you around! Why should I take a walking tour? Well, if you really want to experience this old city, you have to hit the streets. If you go by foot you visit places that you can’t even see from within a bus or a boat. Of course, we also show you the iconic sites like the 17th-century canal belt, the Anne Frank House or the Royal Palace, but it are exactly the cute, narrow streets with crooked houses that make this city so special. You might have to get used to the speeding bicycles, but our guides will do everything to protect you from their fellow citizens. And when you think about it, have you even been to Amsterdam if you weren’t almost hit by a cursing Dutchman on a bike? We’re going to take the time to enjoy the most beautiful streets, canals, and stories that Amsterdam has to offer. Most of all, the personal conversations with your local guide will give the extra touch to your experience in Amsterdam! Check out our private tours and join one of them today! As we explore the stories and sights of this open-air museum called Amsterdam. If you visit other cities than Amsterdam in the Netherlands, take a look at the tours that we offer in Utrecht, Rotterdam or The Hague!